Infrared Film: A Quick How To. Once upon a time, I shot a ton of infrared film… Actual infrared film. It was awesome. The worst time of day to shoot for all other films (noon) was the best time to shoot for infrared. I loved it. I used both 35mm and 4×5 film and even purchased a panoramic Hasselblad camera that I used exclusively for my midday excursions. My film of choice was Kodak High Speed Infrared which has since been discontinued. 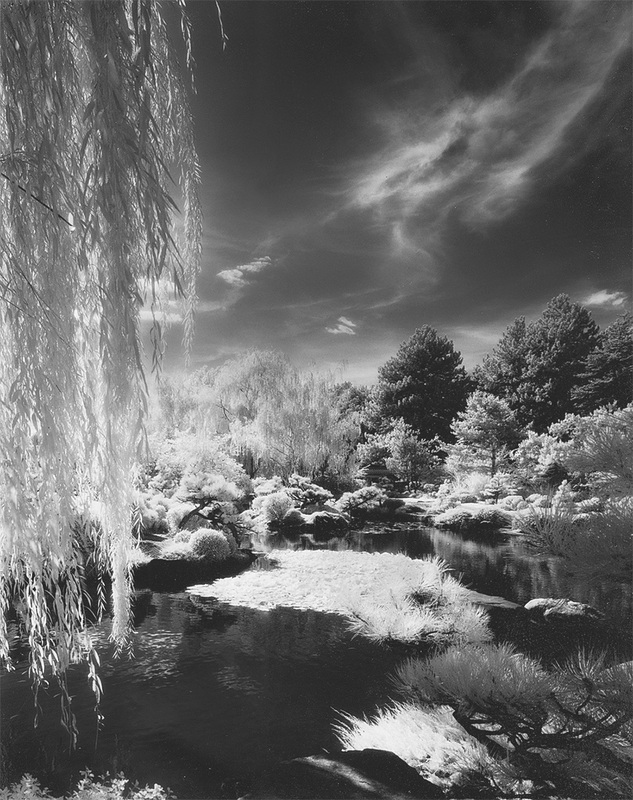 It is true that you can take a digital file and achieve a pretty good imitation in Photoshop, but it’s not the same thing as the pure, organic, hard slog and ultimate satisfaction of mastering infrared photography. Sigh. I miss it. You’ll need a film camera. You’ll need to put tape over any area on the back that can cause a light leak. You’ll need film. You can still get some Rollei IR film at B+H Photo. Buy two filters… No. 87 – Completely opaque (and a complete pain) and a No. 25 Red (much easier to use and still great effects). Shoot something easy to start. A landscape on a sunny day, at noon with a blue sky. I used to rate Kodak IR at 200ASA, shoot at noon at f11 at 1/125 and bracket a full stop brighter and darker. Worked really, really well. And yes, that was using the camera’s meter, through the red filter. You have to load and unload film in the dark. Take a changing bag. Don’t, for a minute, think this doesn’t matter. It does and you will ruin your images if you unload in sunlight. If you are going through an airport, I don’t know what to tell you because the film cannot go through the x-ray machines and if TSA want to inspect by hand and take it out of the canister, it will be ruined. Special note: If you are super brave and going to try 4×5 infrared, you’ll need to keep your loaded film in a black bag inside a cooler with some form of cool gel pack… Otherwise, the minute you load it in the back of your camera and pull the slide up, it will curl and end up in your camera. You’ll also need to keep it out of the sun between the cooler and the back of said camera – It is that sensitive to light. Below image is at the Japanese Garden in Denver Botanic Gardens.